It’s Official: Dermess Is Coming to Williamson County! On Monday, April 2nd, Dermess is opening a new office in Franklin to better serve our Williamson County patients. The site is the Moran-Pope-Palmer House – built in 1822 by the same builder chosen by Andrew Jackson to build the Hermitage. 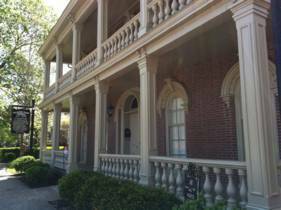 The home was used as a hospital during the Civil War, and is on the National Historic Register. It’s an impressive piece of Tennessee history! The new office will be staffed 5 days/week with an R.N. trained in aesthetic procedures. Services will include wrinkle-smoothing injectables like Juvederm® and Botox®, as well as consultation on laser treatments and other more advanced procedures. As always, customized aesthetic and wellness interventions will be designed with each patient’s personal goals and budget in mind. Those desiring cosmetic surgery will be treated Dr. Marvel in Nashville or at his Tullahoma, Tennessee surgery center. 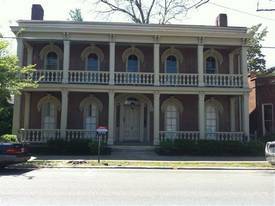 Located right in the heart of downtown Franklin, Moran-Pope-Palmer House has ample street and garage parking. Once you’ve parked, you can walk to lunch at a fabulous restaurant or pick up spring togs at several specialty boutiques. Our Williamson County patients won’t miss the drive into Nashville! We’ll still be managing appointments from our Nashville office, so call Tina at 615-329-9939 to schedule. A Grand Opening event is scheduled for May 3rd, 2012, from 5:00 p.m. to 8:00 p.m. Please drop by! This entry was posted on Thursday, March 29th, 2012 at 4:44 pm	and is filed under New at Dermess. You can follow any responses to this entry through the RSS 2.0 feed. Both comments and pings are currently closed. « An All-in-One Anti-Aging Product? Yes!